In 2010, Exxon-Mobils subsidiary Esso Highlands started the construction of the PNG LNG (Papua New Guinea Liquefied Natural Gas), a US $19 billion project aiming to produce and export 6.9 million tons of natural gas per year over a period of 30 years. The project integrates gas production and processing in the Southern Highlands and Western Provinces, mainly in Kutubu and Tari districts, and the subsequent liquefaction and storage at Port Moresby on the Gulf of Papua to be sent to foreign hungry Asian markets mainly in China, Taiwan and Japan. The project is currently at the preparatory stages with the company currently developing the infrastructure to extract and transport the gas. The construction of the pipeline will stretch around 700 kilometers (248 km onshore and 407 km offshore), connecting the provinces to the port. The project is estimated to obtain $ 20 billion in revenues during the first year of extraction in 2014, coming from 200 million barrels of liquefied gas. Yet one year in the PNG LNG project has already been linked with a number of worrying incidents, including tribal conflict, local landowner unrest, alleged abuses by the companies involved, and concerns over the transparency of government decisions. 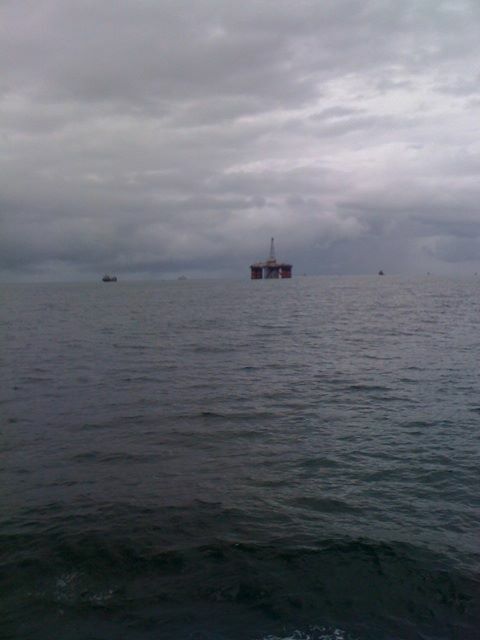 In Feb. 2011 the project reached a boiling point when landowners closed down gas plants and mobilised on project sites following increased discontent over their benefits payments. Land-related violence between 2 communities as a result of the project caused four deaths in January 2010. Another work stoppage in January 2011 was led by an angry group of landowners who mobilised when a local boy lost his life after consuming a toxic substance obtained from one of the project sites. Locals have also reported feeling the effects of inflation on PNG’s economy, with prices for basic staples being distorted by extreme inflation. The Ex-Im Bank estimates that PNG LNG will emit 3, 100, 000 tons of CO2 every year in direct emissions, yet even this figure omits the much greater indirect (lifecycle) emissions associated with LNG schemes. Finally, activists claim that the projects Environmental Impact Statement (EIS) and Social Impact Assessment (SIA) are grossly inadequate and fail to address the environmental and social impacts and provide appropriate mitigation measures. The most affected population will be the Huli people. Project Details The project expects to produce 6.9 million tons natural gas per year during a period of 30 years. The construction of the pipeline considers 700 kilometers connecting the provinces to the port (248 km onshore and 407 km offshore). The project is estimated to obtain $ 20 billion revenues during the first year of extraction in 2014 coming from 200 million barrels of liquefied gas. ,809 hectares will be cleared, half in areas not previously disturbed by oil and gas developments hectares of primary tropical forest will be cleared and an estimated 86% of primary tropical forest losses Pipeline will cross 26 major water crossings, 138 minor water crossings and will cross the Kutubu Wildlife Management Area. Relevant government actors National Government, Departments of Petroleum and Energy and Commerce and Industry, The Australian government has helped finance the project through its largest ever export credit loan. Other •Risks include increased violence and STDs in local communities and more burdens on community health, human services and other social infrastructure. •PNG is one of the most serious HIV epidemics in the Asia-Pacific region. The impact of HIV/AIDS can be a two-way catastrophe, with increased exposure from expatriate workers to local people and from local people to expatriate workers, many of which then move on to projects in other countries. Why? Explain briefly. The question goes to how much of these benefits will the people in the country perceive, especially in the Southern and Western Highlands. Until now, local communities have seen their lifestyles affected and land dispossession and the environment has been modified as a consequence of the company’s actions. Moreover, all the damage to the local people and the environment has been discounted since the government is an important investor in the project. The Jubilee Australia Research Centre. Pipe Dreams The PNG LNG Project and the Future Hopes of a Nation. Horta, Korinna, Samuel Nguiffo and Delphine Djiraibe. 2007. The Chad-Cameroon Oil & Pipeline Project. A project non-completion report. Kolinjivadi, Vijay. Losing our pigs and our ancestors: threats to the livelihoods and environment of Papua New Guinea. October 27 2011. Date accessed: 19 June 2013. Mamu, Stanley. 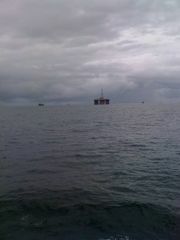 LNG Watch Papua New Guinea. Date accessed: 19 June 2013.